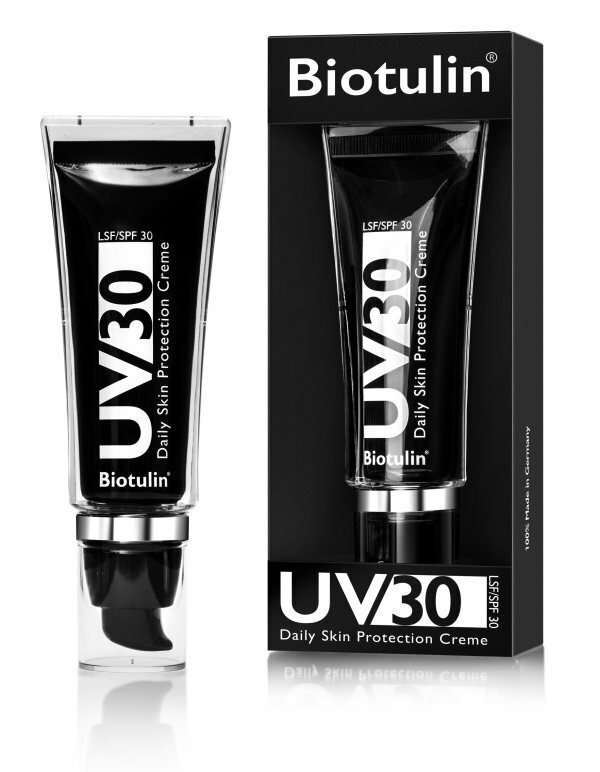 Biotulin UV30 is the world‘s first dermatologically tested skin protection combination that naturally relaxes the facial features in a targeted and direct manner, while protecting the skin from damaging UV rays of sunlight. A sun protection factor of 30 means that you can stay in the sun 30 times longer than with no protection factor. 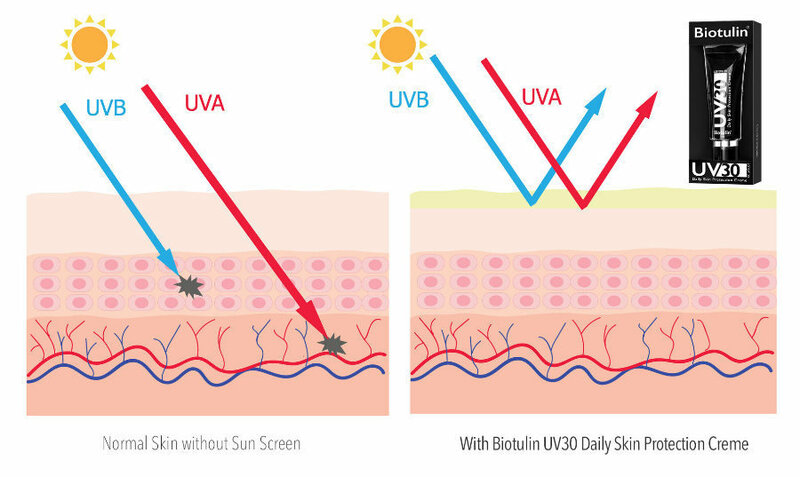 Of course, Biotulin UV30 not only protects you when you are sunbathing, but also from the daily negative effects of the sun‘s rays. At the same time, Biotulin UV30 allows you to get the light, healthy fresh tan that you desire. 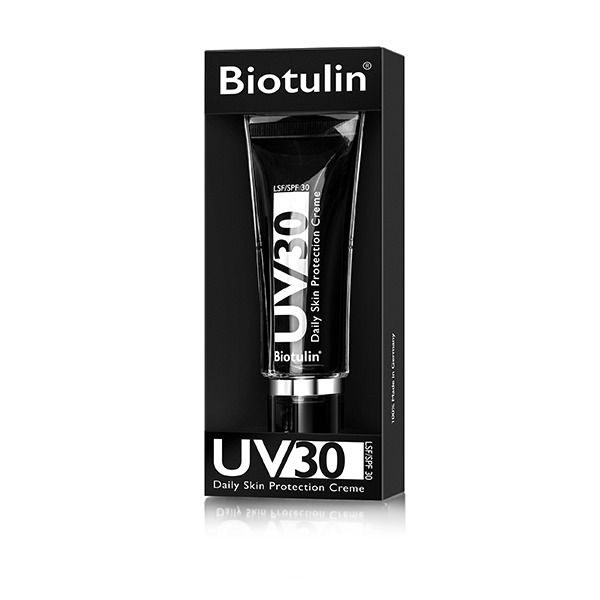 Biotulin UV30 contains Spilanthol, a local anaesthetic extracted from the plant Acmella oleracea, which acts to slightly relax the muscles in the uppermost skin layer, to reduce wrinkles and to counteract the formation of new wrinkles. Hyaluronic acid also cushions the skin and supports collagenous and elastic fibres. The ideal daily protection care for the face and back of the hand.